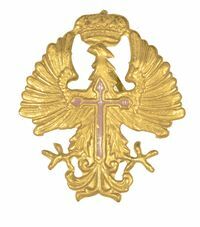 WWII SPANISH ARMY INSIGNIA, General Franco Era. 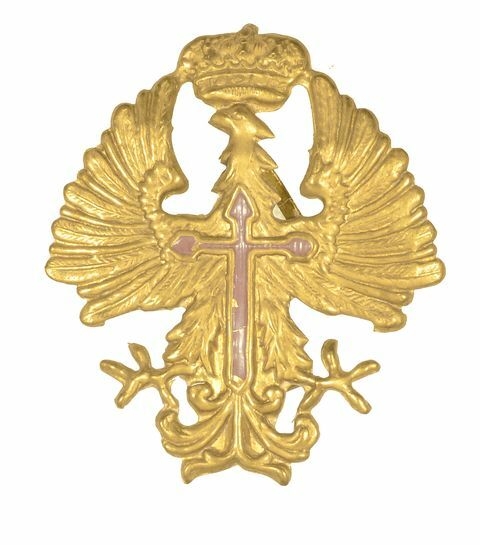 Used on Berets and 42/70 Helmets. 2" Tall, stamped brass, Original.